Coverage in reeds used to repair from the sun the outdoor living spaces. Without this element in a dammuso in Pantelleria, with the warm sun of the day or the humidity of the evening, we could not invited to enjoy the meals, a cous cous for instance? 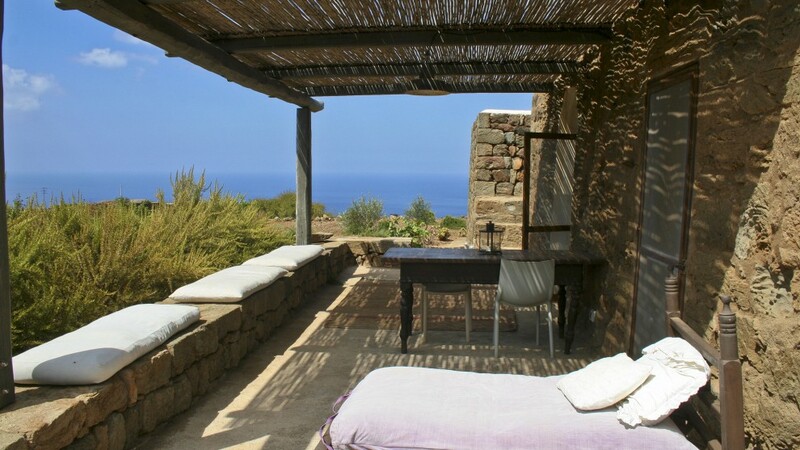 – or drinks admiring the sea of Pantelleria. Now the creativity of architects and local artists offers it in different variants: wood, iron covered with dried palm leaves or with the colorful boungavillea.